The schools funded by the NGLC grants were closed in June 2017. Matchbook Learning continues to support a school turnaround in Washington, D.C. through its Spark Accelerator. The Operator: Matchbook Learning envisions an ecosystem of public education that applies the very best turnaround design to the very worst schools. The goal is to lead schools out of the bottom five percent into the top 20 percent. What works for a school district’s lowest-performing schools will eventually work for all schools, creating a transformed education ecosystem in which all students thrive. The turnaround process is laid out in a prescriptive 206-step project plan that addresses assessment, content, and classroom design and works with the community and school on mission alignment and student-centered practices grounded in evidence. Matchbook Learning launched its first student-centered blended turnaround model prototype in 2011 with a bottom five percent K-8 school in Detroit Public Schools. After taking on two more schools, witnessing school improvement in student performance and state-level recognition, and iterating its model, Matchbook Learning shifted to a fourth prototype with two charter school turnarounds, Merit Prep in Newark, NJ in 2014 and Michigan Technical Academy in Detroit in 2015. The “very best turnaround design” combines the very best of what teachers can do with the very best that technology can offer in competency-based blended learning. Students work at their own pace through a Learn & Practice, Peer & Teacher Conference, Apply, and Assess learning cycle. Teachers meet daily with students for one-on-one conferences, small group instruction, and goal setting. Learning is leveled according to students’ ability as determined by adaptive assessments, not by age or grade level. Project-based learning (PBL) is a part of each core subject every day to ensure that students learn problem-solving and 21st century collaborative skills in addition to their individual learning progressions. A principal and two full-time program managers implement the turnaround design. To scaffold teachers’ capacity for student-centered learning, the two program managers conduct 40 observations and 20 one-on-one coaching sessions per teacher per year. Matchbook created a school model that relates to the wishes and needs of students, teachers, parents, and community stakeholders in order to enact real and sustainable change. And through its technology-based innovations, that positive change is affordable and scalable. *Merit Prep launched in 2012 by Touchstone Education with funding support from NGLC. On July 1, 2014, Touchstone Education merged with Matchbook Learning, another NGLC grant recipient. Learn more about the merger. 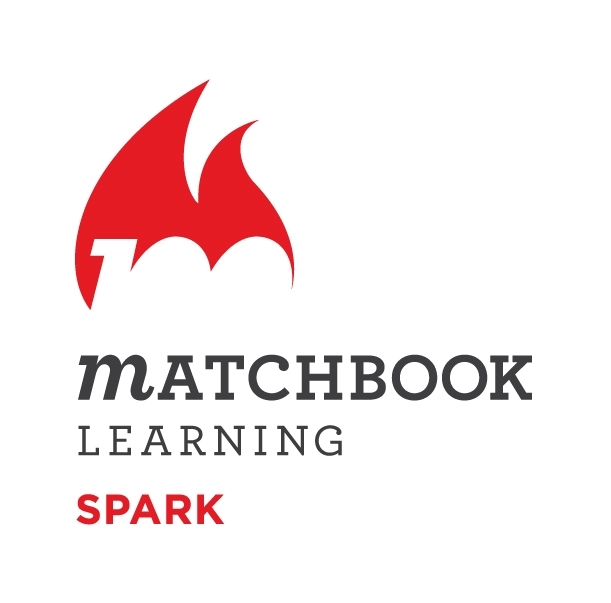 Next Gen Tools: Matchbook Learning's "Spark"